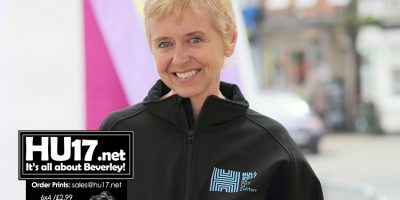 Bands Archives | HU17.net – It’s all about Beverley! New York rockers Sunflower Bean are performing at a sold-out gig in Hull later this month, but maybe at a venue you didn’t expect? The psychedelic post-punk band will be performing at Hull Central Library on Monday 27 August in between appearances at some of the UK and Europe’s biggest summer music festivals. Award-winning aerial acrobatics, stand-up comedy, poetry, interactive theatre, live music and sing along films are coming to the heart of Hull’s neighbourhoods for the second in a series of ground-breaking festivals. 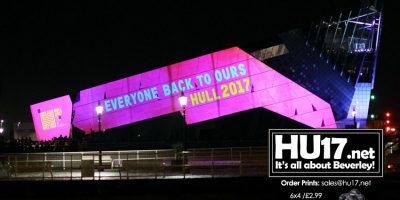 Hull UK City of Culture 2017 has today announced the line-up of the hotly anticipated May half term Back To Ours (30 May to 4 June) ahead of the tickets going on sale next Thursday (27 April). The people of Hull are being invited to take part in an ambitious public art project inspired by the female trailblazers of the city as part of Hull UK City of Culture 2017. Revolutionary Makers is a large scale collaborative commission, which will culminate in an installation in Hull City Hall ahead of WOW Hull (10-12 March), part of a global movement to champion gender equality. Through a weekend of talks, music, debate, comedy and performance, WOW Hull will celebrate International Women’s Day. With three bands from the USA and another half dozen home-grown exponents of Americana, it looks like ‘The Westwood Stage’ will be arriving in force at Beverley Folk Festival this year. After running one of the stages at the successful Hedfest festival Quiet Riot returns to Beverley for another monthly gig where we bring some of the best local acts into the town. Hull band Young Jack say they had a great night and enjoyed performing at Hodgsons Pub, Beverley. Following the massive success of the launch event during November Quiet Riot will continue to bring the best musical talent to Beverley during 2015. Internet coverage is vital in the modern world. Modern sociologists are even claiming that it has begun to effect house prices, with many buyers reluctant to live in a house that doesn’t have a decent broadband connection. Award-winning trio Lau, are the latest act to be confirmed for Beverley Folk Festival 2014. Beverley band Sea of Wires will be launching their EP at the Adelphi Club in Hull on Saturday 22 of June. The Band has just finished recording with Mikey Scott at Fruit Trade Music Studio in Humber Street, Hull. It was a memorable night at a historic venue when five acts took to the stage in Beverley to showcase their talents. Following the success of last year’s event, Soundclash made its return at the Memorial Hall last week. Beverley’s folk festival starts off 2013 with a concert featuring one of this country’s most popular guitarists and multi-award winner Martin Simpson. For many, the local area and its heritage are a great source of pride and it is both a privilege and a joy to be able to visit museums and archives to see first-hand the objects that compose local history. 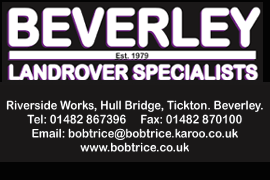 The last weekend of this month, 26th – 28th October, sees the second ever Beverley Blues Festival. The event takes place at the historic Sun Inn, overseen by the magnificent Beverley Minster and Hodgsons’ public house, situated next to the Beverley Leisure Centre. After being held in Beverley Polo Club for the last five years, Tribfest relocated in 2012 to the delightful surroundings of Sledmere House, offering more space for the annually growing flock of festival enthusiasts.